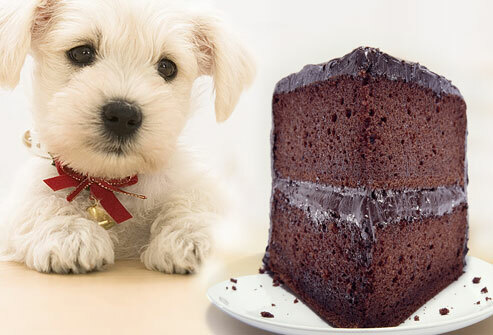 March is pet poison month; do you know which substances are most poisonous to dogs? Listed here are the top 8 most toxic substances for dogs that are found in you r home and yard. One of the most toxic substances for dogs that causes numerous problems each year is prescription medication for humans. Heart medication, blood pressure pills, antidepressants, and pain medication can all be disastrous for canines. When you are prescribed medication make sure your pills are stored out of reach from your pet and that each dosage is accounted for each day. 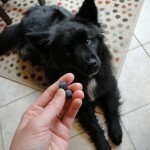 Even one small pill can cause serious problems for a small dog. Even though flea and tick products are generally safe for dogs, improper use or ingestion can lead to pet poisoning. Always make sure you are giving your dog the proper dosage. 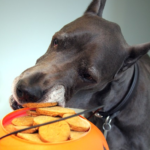 In addition, ensure these products are stored out of reach of your pet. When your dog is ill it can be tempting to give your pet human medicine. While many products meant for humans can be safely given to a dog, it is crucial to know the right amount. 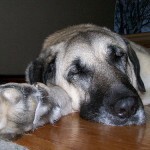 Dogs can safely ingest Benadryl, Immodium, buffered Aspirin, and Dramamine. However, you should always check with a veterinarian to determine the right dosage for your pet, especially if he or she is overweight or already taking medication. 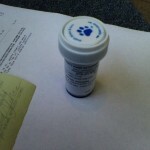 Many pet medications are flavored in order to increase the likelihood that your dog takes his or her pills. However, sometimes these flavorings work too well. Every year dogs become poisoned due to overdosing on their prescription medications, such as heartworm pills. Always keep your dog’s medication out of reach. For dogs that require daily medicine, use a pill organizer to make sure your dog never accidentally receives multiple dosages in one day. Cleaning supplies sometimes smell sweet to dogs. Keep all household cleaners out of your dog’s reach, preferably in a cabinet with a child protection lock. One of the most toxic substances for dogs – and sadly one of the most common – is bleach. Everyone knows the hazards of feeding a dog chocolate, but did you know that grapes, raisin, onions, and garlic are also toxic for dogs? Human foods such as these, as well as avocado, xylitol, alcohol, and macadamia nuts, can all result in serious health problems. If your dog can’t resist leafy greens you should beware of the dangers of certain plants. Tulips, daffodils, azaleas, rhododendron, Sago palms, and their associated seeds or bulbs can all cause problems such as vomiting, diarrhea, seizures, and death. Keep these plants in areas your dog does not have access, such as the front yard. Otherwise, household plants should be kept out of your pet’s reach. If your dog has access to your garage you should be mindful of lawn products that are toxic. These include grass seed, fertilizers, and pesticides.